The White Residence renovations involved a thorough re-thinking of the floor plan of a stately Kansas City home. 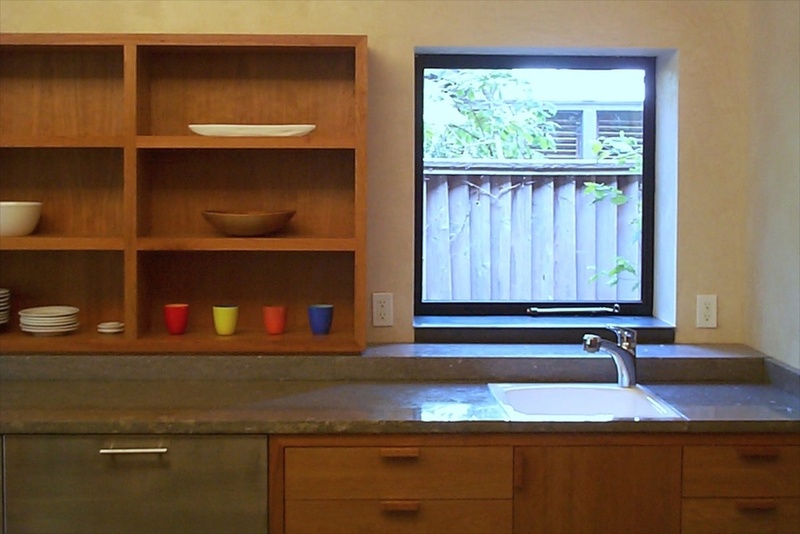 Original interior walls were removed, and a new kitchen space was created within the footprint of the existing foundations. The exterior brick wall was opened and a new, steel glazing system was installed allowing for a strong visual connection to a lovely urban courtyard. The kitchen is detailed with a warm palette of cherry cabinetry, venetian plaster walls, and burnished concrete floors with radiant heat. 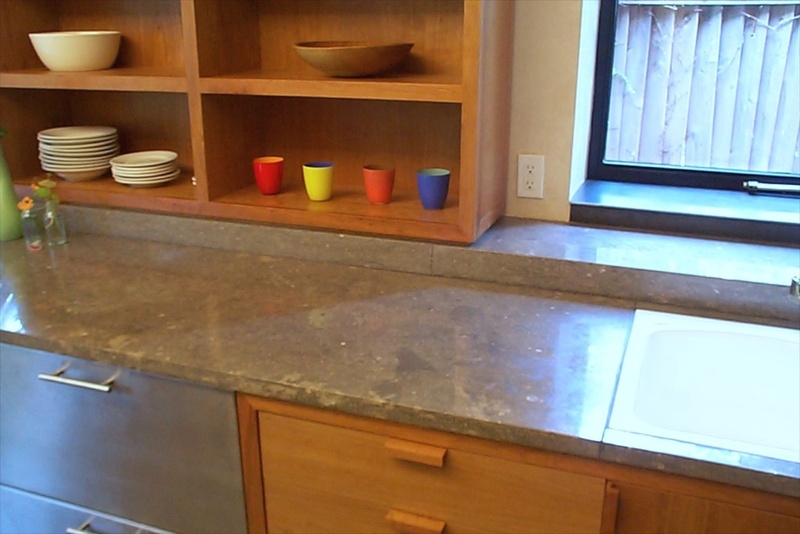 The fossil-rich countertops are polished "Flint Hills Gray" limestone quarried near St. Mary's, Kansas. General Contractor: McHenry Shaffer with assistance from Ryan Gale, C&G Construction.